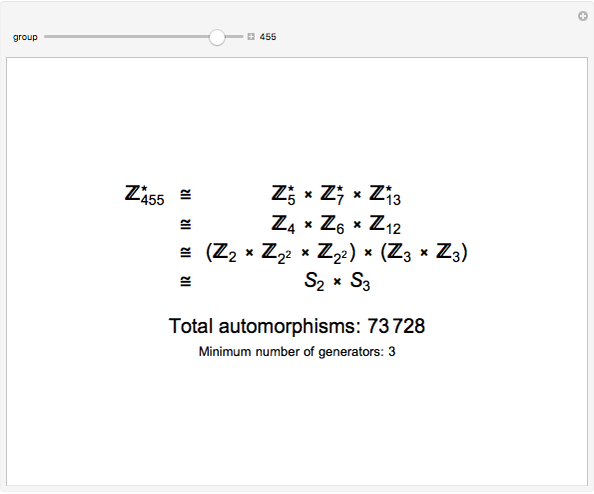 This Demonstration expresses a multiplicative unit group modulo an integer in terms of isomorphic additive groups and then uses the additive groups to compute the total number of automorphisms of the unit group. 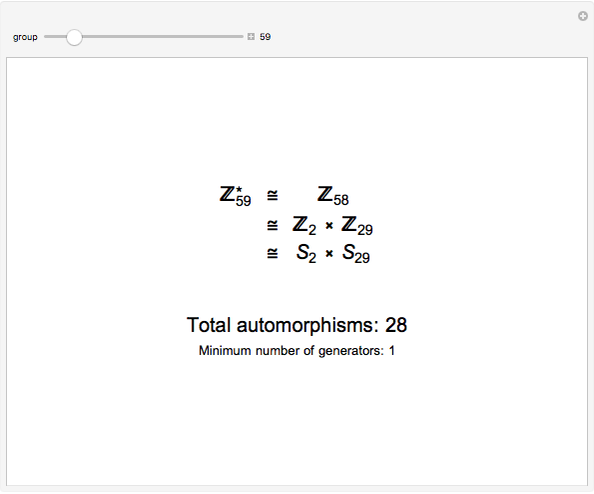 In this Demonstration, represents the multiplicative unit group of integers modulo , and represents the additive group of integers mod . 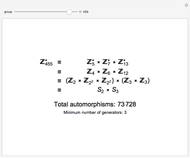 Any Abelian group such as is isomorphic to a product of Sylow -groups, and the number of automorphisms of is a product of the number of automorphisms of its Sylow -groups. In the case of , we have . For , the exponents are , , and , with , , , and , , . A similar calculation gives . 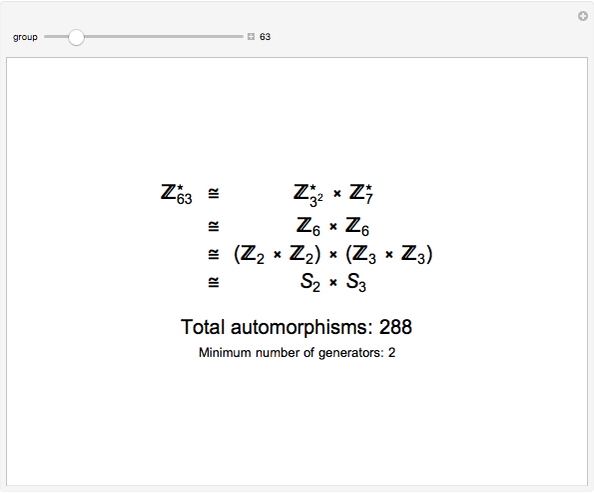 By considering the generators needed to generate the Cartesian product , it can be shown that the minimum number of generators needed to generate is simply the number of factors of the Sylow 2-group. The last line of the result reports this number. For more details and a derivation of the formula above, see . C. J. Hillard and D. L. Rhea. 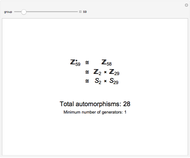 "Automorphisms of Finite Abelian Groups". www.msri.org/people/members/chillar/files/autabeliangrps.pdf. Dominic Milioto "The Size of an Automorphism Group"